As described in the SNES Version Compare section, the 1CHIP SNES is the best version of the original Super Nintendo system. 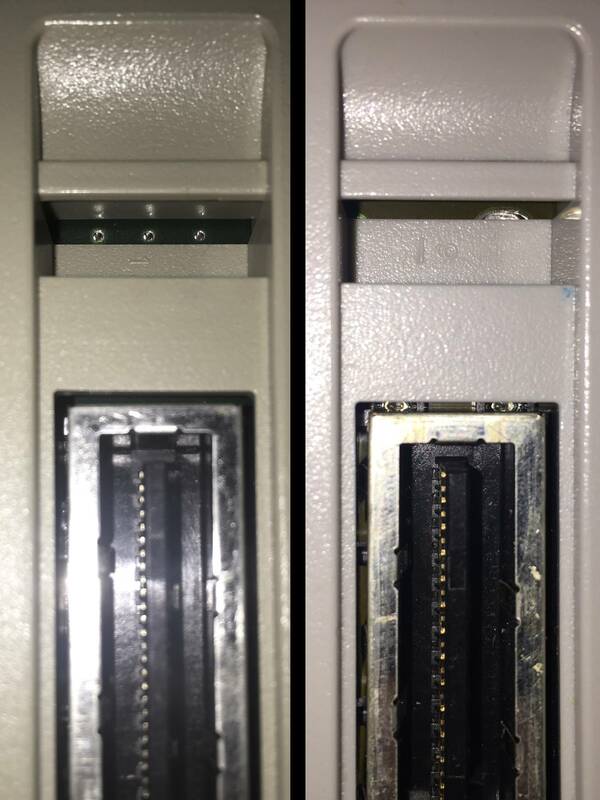 I list a few tricks below on how to narrow your 1CHIP search, but the only way to be 100% sure that you have a 1CHIP, is to open the console. 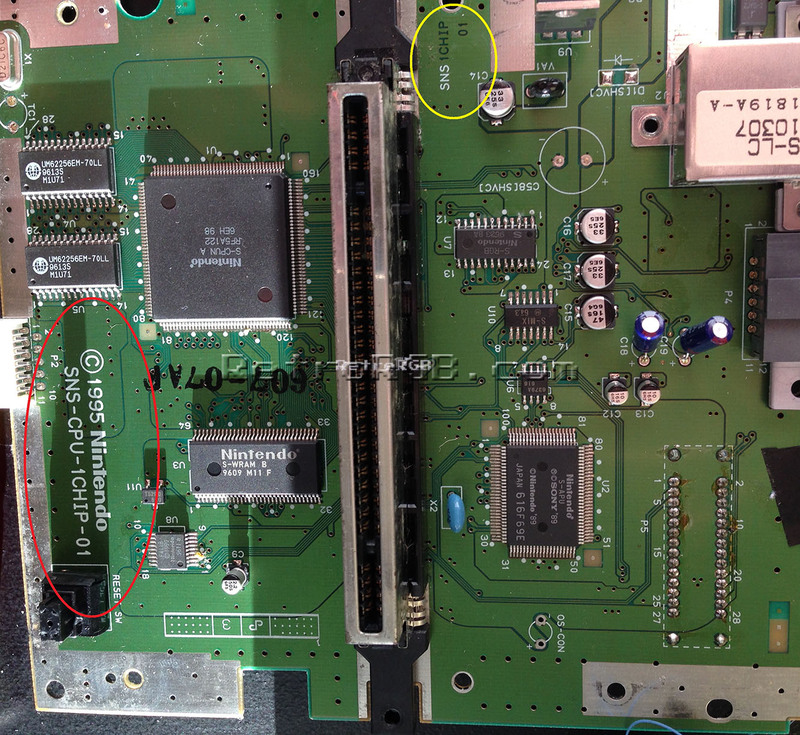 North American 1CHIP consoles are found in consoles with serial numbers that start with “UN3”. 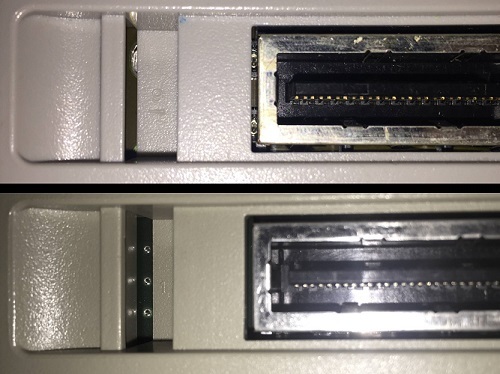 Not every “UN3” is a 1CHIP, but every 1CHIP I’ve seen (that wasn’t moved in a case swap) has a serial number such as “UN321907569”. 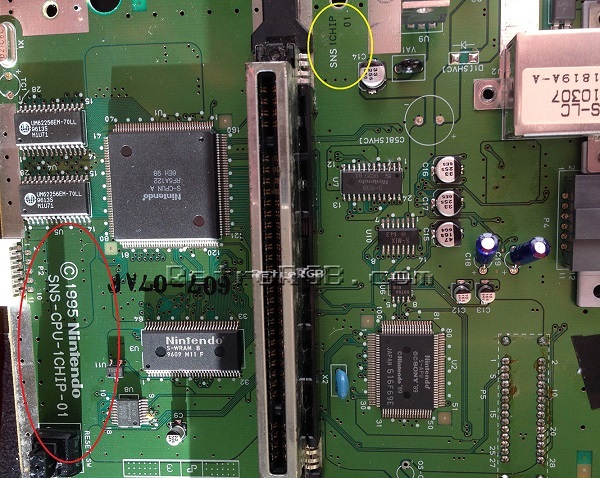 It’s possible serial numbers starting with “UN31” were the first to include the 1CHIP, but I’ve seen the occasional SNS-APU-01 motherboard in a case starting with that serial number, so there really is no other sure-fire way to tell, other then opening the console. SNES Console with OEM power & AV adapter.